Maison Fleurie is born from the passion for architecture and design. 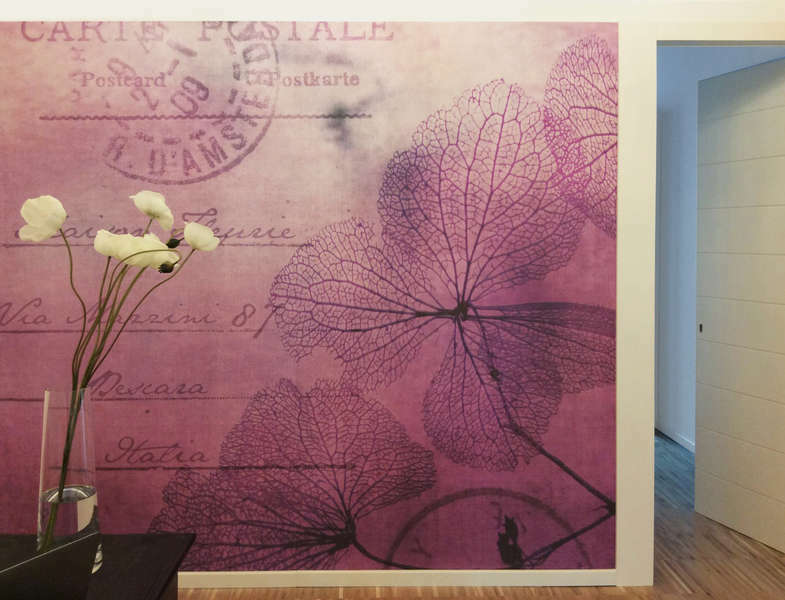 The space has a physical and, at the same time, an evocative dimension; colors, images and objects are part of our experiences. The Maison Fleurie spaces arise from this approach. 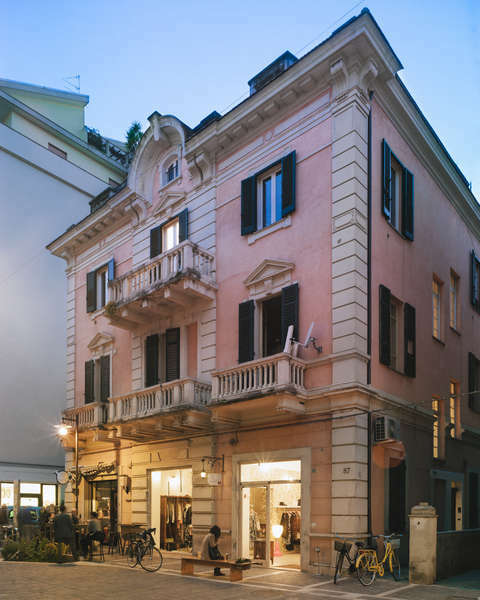 Maison Fleurie is located in a liberty building of the early twentieth century in the heart of Pescara. A rare example of floral architecture (Art Nouveau) of nascent city of Pescara. The historic building has been completely refurbished; each room, designed in detail, air conditioning, free wi fi, TV 32” and bathroom. Each room has solid wood flooring , wood paneling, mosaics and finishes of value, in which we find restored furnishings along with contemporary design pieces. Each room has its own connotation with floral wallpaper and furnishings designed ad hoc. Maison Fleurie is a comfortable place, a refined setting in every detail to make your stay unique and unforgettable. - By car: leaving the airport at your back, turn left on Amendola street, towards the centre of Pescara. At the roundabout take the second exit to centre/port of Pescara and drive on SS16, then take first exit to centre/port and drive on E80. Going out towards Raiale street, turn left and keep on driving for 450 mt on Aterno street, turn left again and take Ponte Villa Fabio, at the roundabout choose second exit direction Del Circuito street/SS16bis. At the next roundabout take second exit and keep on driving on Del Circuito street/SS16bis until the end. Now turn left and drive on Alcide De Gasperi street/SS16bis for 350 mt and you get the parking area where you can park your car. Going out of the main parking area of the railway station, you reach C.so Vittorio Emanuele. Cross the road and turn left, keep on walking for 120 mt, turn left again on G. Mazzini street, Maison fleurie is located at nr 87. - By bus: take the bus nr 8, departure from the airport every 20 min. Shortly you will reach the centre of Pescara. In order to get off the bus in due time, please push the button past Benetton shop. Once you have left the bus, you will keep on walking, G.Mazzini street will be the second way on your left. - By taxi: call +39 085 35155, in a few minutes you will reach your destination. Maison fleurie is located in the pedestrian area of the city centre. Please ask the taxi driver to get off on Regina Margherita street at the corner G.Mazzini street. Maison Fleurie is not responsible for cancellation due to natural disasters, fires, wars or socio-political events.